Spoil yourself with a luxury PinkSpa get your body PinkLush by revitalizing your natural beauty. Get ready to be in a tickle PinkMood? 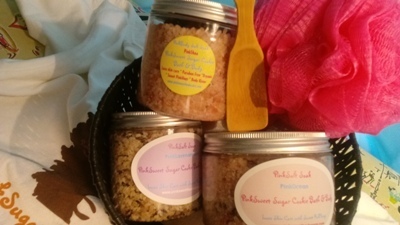 With PinkSweet Sugar Cookie Bath and Body you will achieve a smooth PinkBody, a calm PinkMind and a relaxed PinkSoul..
We hope you find all your PinkBeauty essentials, PinkSweet Bodycare is focused on providing high-quality service, natural, organic, and Paraben Free handcrafted products, along with exceptional customer satisfaction. We will do everything possible to meet your highest expectations. PinkSweet Sugar Cookie has a variety of beauty and body care products to choose from, we're sure you'll be happy working with us. Please take your time to look around our website. If you have any comments or questions regarding bulk, or wholesale pricing please feel free to contact us wholesale@pinksweetbodycare.com.